Writersroom 10 writer, Katherine Mitchell talks about her journey since taking part in the scheme. Alan Mockler blogs about landing the runner-up prize for the Alfred Bradley Bursary Award 2013-14. Richard Monks blogs about developing & writing Early Warning, his radio drama for BBC Radio 3's The Wire, about a deaf girl who believes that she has heard a murder. 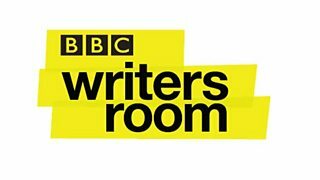 Debbie Moon, writer and creator of brand new fantasy action drama, Wolfblood, blogs about how a script she submitted via a BBC writersroom open call, led to a commission for an original on CBBC. Abi Morgan is the Emmy award-winning writer of 'The Hour', 'The Iron Lady' and 'Suffragette'. She explains the premise of her new drama for BBC One 'River' starring Stellan Skarsgard. For this year's Biggest Weekend Festival across the UK we ran an open opportunity for writers to submit a 1 minute comedy monologue script. 4 scripts were filmed at the 4 festival locations in Swansea, Belfast, Coventry and Perth. Tess Morris blogs about the journey of her rom com film, Man Up (Starring Simon Pegg) - from cinema release to BBC Two premier. Newsjack producer, Ed Morrish does a by numbers review of Series 7 of the Radio 4 Extra topical comedy show. Darragh Mortell is one of the writers behind Outsiders, a new team-written comedy for BBC Two Wales which was developed by BBC Writersroom in Wales. He explains how working in a writers' room was a new experience, but one to be embraced. 25 years on - BBC Radio 4 Extra is celebrating the Young Writers Festival by broadcasting ten of the original plays. Producer Jeremy Mortimer blogs on launching the very first Festival back in 1988. Luther Series 4 - reaching spectacular new heights! Assistant Script Editor Matthew Mosley blogs for us about working with writer Neil Cross on bringing "the Luther aesthetic ... to spectacular new heights in series 4". Kris Mrksa is an Australian screenwriter whose chilling psychological thriller Requiem is currently going out on BBC One on Friday evenings. We caught up with Kris to ask about his career to date. Usman Mullan on why writing for kids is a great place for new writers and discusses some Writersroom successes with BBC Children's - with contributions from writers who have recently had commissions. Our TV Drama Writers' Programme recently concluded with two days of script read-throughs with a professional cast of actors. Nessah Muthy explains what the scheme is and how it has helped her to create a 'spec' script that she can use as an example of her work. Oriane Messina and Fay Rusling, writers of brand new comedy, Me and Mrs Jones, blog about developing the series for BBC One.